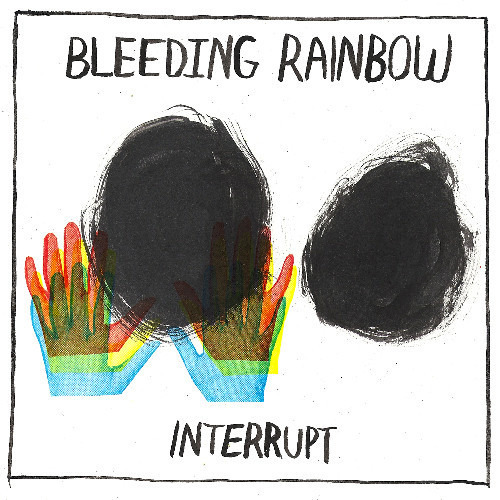 Philadelphia's Bleeding Rainbow, expanded since their sophomore album from a duo to a hearty foursome, have returned with a solid new offering—a 10-track album with both soft and hard edges, Interrupt. The restrained off-in-the-foggy-distance female vocals powerfully carry the simple but affecting emo-tinged lyrics through a thicket of driving pop-punk guitar energy, as on “So You Know.” Certain terse lines hurt: “Now you know / I’m all alone / Didn’t you know.” As long as these winter days are long and dark, and heartache runs rampant, Bleeding Rainbow will have our attention. Stay tuned for future coverage. Interrupt comes out February 25 on Kanine Records, available now for preorder. Stream “So You Know” and check their tour dates below.